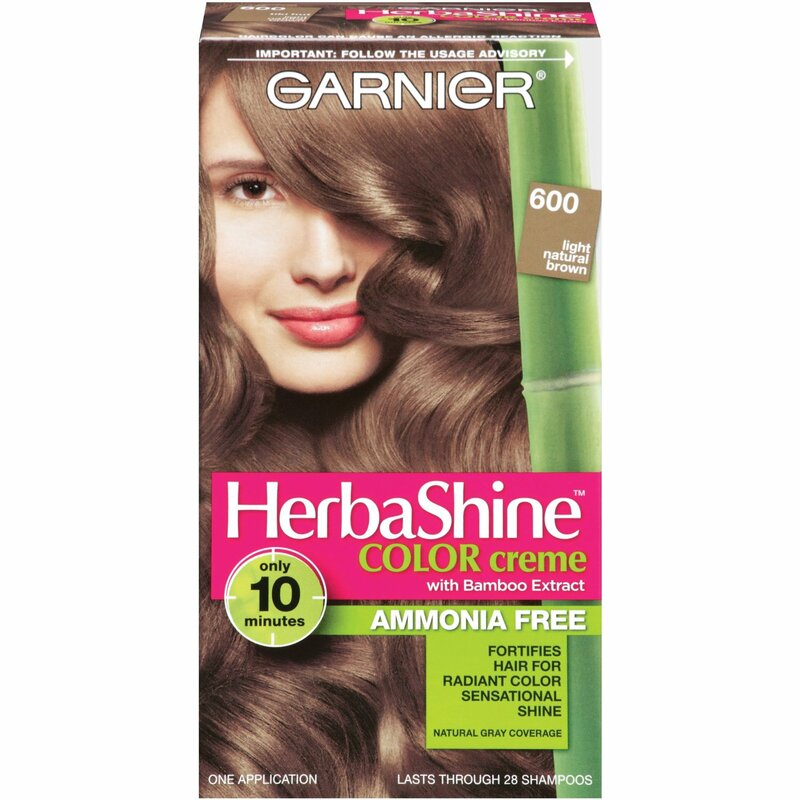 Herba shine Garnier hair dye ingredient review and warnings!!! Here we are again with yet another challenge. This one took us quite a while as we have been very busy with other articles and analysing the entire composition of a complex product is undoubtedly a very time consuming process. For years we have been using organic cosmetic and going to our respective haidressers asking for an amonia free hair dye thinking it was more or less safe and easier on our hair. The reason we decided to write this article is because one of us recently had an appointment at the hairdresser for a hair dye and came out with a killer headache! as well as hormonal disruptions. Ceteareth-25, Ceteareth-25 Hazard Summary  Research indicates it may be contaminated with impurities linked to cancer and other health concerns. Potential breast carcinogen (cancer). Classified as a Penetration Enhancer - alters skin structure allowing chemicals to penetrate deeper into the skin. Increases the amount of toxins that reach the bloodstream. Pentasodium Pentetate is a chelating agent used in cosmetics and beauty products "prevent various mineral components from binding together and negatively affecting the formulation" Safety Measures/Side Effects: The absence of significant skin penetration of all chelating agents means that Pentasodium Pentetate did not pose any reproductive or developmental toxicity risk when used in cosmetics and personal care products. However, it can be an eye irritant. The Cosmetic Database rates Pentasodium Pentetate as a low hazard when formulated to avoid irritation, but should not be used on broken skin or infants. Phosphoric acid: is a mineral acid used to balance the pH in cosmetics. It is also the same acid used to clean dirty ovens and this acid is also used as a cleaning agent in the construction industry as it's highly corrosive. Cetearyl alcohol: Rating: GOOD Categories: Emollients , Thickeners/Emulsifiers Fatty alcohol used as an emollient, emulsifier, thickener, and carrying agent for other ingredients. Can be derived naturally, as in coconut fatty alcohol, or synthetically. Deceth-3, is a polyethylene glycol...meaning it is a peg Use in Cosmetics PEGs (polyethylene glycols) are petroleum-based compounds that are widely used in cosmetics as thickeners, solvents, softeners, and moisture-carriers. PEGs are commonly used as cosmetic cream bases. They are also used in pharmaceuticals as laxatives. Health and Environmental Hazards Depending on manufacturing processes, PEGs may be contaminated with measurable amounts of ethylene oxide and 1,4-dioxane. The International Agency for Research on Cancer classifies ethylene oxide as a known human carcinogen and 1,4-dioxane as a possible human carcinogen. Ethylene oxide can also harm the nervous system and the California Environmental Protection Agency has classified it as a developmental toxicant based on evidence that it may interfere with human development. 1,4-dioxane is also persistent. In other words, it doesn't easily degrade and can remain in the environment long after it is rinsed down the shower drain. 1,4-dioxane can be removed from cosmetics during the manufacturing process by vacuum stripping, but there is no easy way for consumers to know whether products containing PEGs have undergone this process. In a study of personal care products marketed as "natural" or "organic" (uncertified), U.S. researchers found 1,4-dioxane as a contaminant in 46 of 100 products analyzed. While carcinogenic contaminants are the primary concern, PEG compounds themselves show some evidence of genotoxicity and if used on broken skin can cause irritation and systemic toxicity. The industry panel that reviews the safety of cosmetics ingredients concluded that some PEG compounds are not safe for use on damaged skin. Also, PEG functions as a "penetration enhancer," increasing the permeability of the skin to allow greater absorption of the product — including harmful ingredients. Oleth 30 is Suspected to be an environmental toxin on the Environment Canada Domestic Substance List. Glycol distearate: Glycol distearate is a compound based on stearic acid, a naturally occurring fatty acid. Sodium Metasilicate: is considered as safe if used in low concentration, however a final report on this chemical is clearly indicating that it can be light to severe irritation on skin...this study has been realized on different animals...please don t test on animals...!!! Toluene-2,5 diamine Health Concerns of the Ingredient: high level of concern on health. Rated 8/10 on ewg Developmental & reproductive toxicity, cancer Contamination concerns, Irritation (skin, eyes, or lungs), Organ system toxicity (non-reproductive), Occupational hazards, Persistence and bioaccumulation; Other LOW concerns: Ecotoxicology About TOLUENE: A volatile petrochemical solvent and paint thinner, toluene is a potent neurotoxicant that acts as an irritant, impairs breathing, and causes nausea. Mother’s exposure to toluene vapors during pregnancy may cause developmental damage in the fetus. In human epidemiological studies and in animal studies toluene has been also associated with toxicity to the immune system and a possible link to blood cancer such as malignant lymphoma. Carbomer: is a synthetic substance helping cosmetic to keep a gel aspect. No record of irritation or immune effect. M-Aminophenol, is a synthetic colorant used in hair dyier. It is produced from coal tar and scientific studies have proven the skin toxicity for animals and human. Therefore this substance has to be used in specific concentration and for very specific uses.Proves are not sufficient and not enough studies have been done (cosmetic industry is not investing in that kind of study of course.... For cosmetic used around the mouth and lips, eyes, aerosols, the substance has been classified nocive and dangerous though! It is largely proven this substance is nocive for plantslife and wildlife. Thiolactic Acid, depilating agent....what is this ingredient doing in an hair care product???? 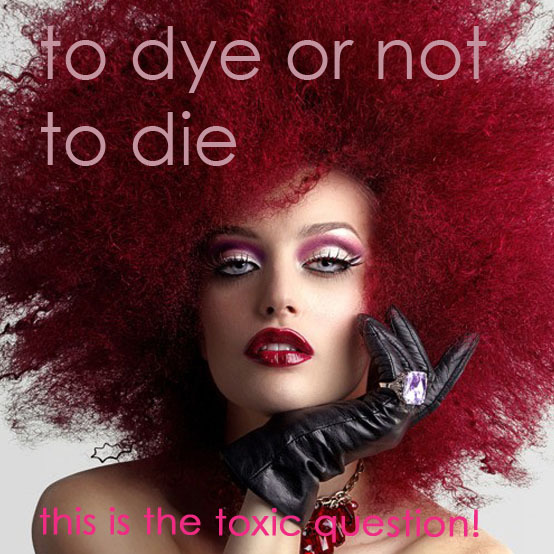 N,N-BIS(2-Hydroxyethyl)-P-Phenylenediamine Sulfate, P-Phenylenediamine (PPD): Coal tar dye with links to bladder cancer, recognized as the most hazardous chemical used in hair dyes; can be absorbed through the skin and causes chemical leukoderma; potential gastrointestinal or liver toxicity hazards; mutagenic; can cause redness, pain and swelling of the eyelids, blurred vision and blindness; sense organ toxicity hazards; can form carcinogenic nitrosamine compounds if mixed with amines; potential kidney and respiratory toxicity hazards; potential to cause immune system response resulting in lung sensitization and other damage to immune system; can cause asthma attacks; poses neurotoxicity hazards; pharynx and larynx irritation; and anaphylactic shock which can be fatal. Due to the “trade secret” status of fragrances, manufacturers are still not required by the FDA to disclose their ingredients on the label or in any other way. These ingredients include a wide range of allergens. They also include synthetic musks, particularly tonalide and galaxolide, designed to mimic natural scents derived from musk deer and ox. They are persistent and bioaccumulate in the body, have toxic hormonal effects, and have been found in breast milk of mothers who have been in direct contact. CI 77891/Titanium Dioxide. Possible human carcinogen (only for inhalation AND products that may be aerosolized (airborne)) California EPA (California Environmental Protection Agency). So it is safe to use in hair dye. So, why is the Cosmetic Industry continuing to produce such dangerous products full of toxic ingredients? The environmental battles in the United States have been kind of repeated over 20 years, and it’s the same battle over and over with different ingredients. The environmental community says, “Take this chemical out of this because it’s dangerous,” and the industry says, “One, it’s not dangerous, and two, it’s not economical, and we’ll fall out of business, and Americans are going to lose their jobs.” And this goes back and forth over and over again. What if we changed the formulas? The cost of production would get higher…industries would be obliged to use expensive natural products, and to either drastically lower their income or increase the purchasing price for consumers…now the question is whether this consumers would be willing to pay a bit more for a natural/risk free formula? Huge debate we know and we probably will never know the answer! Our very own hair dye recipe is coming soon promise! But in the meantime, you may want to look into alternative such as Hena. Please remember, if you liked this post, please share and feel free to ask any questions in the comment section below!